Beard oil is an important beard grooming tool that every man serious about growing a healthy, handsome beard should use. 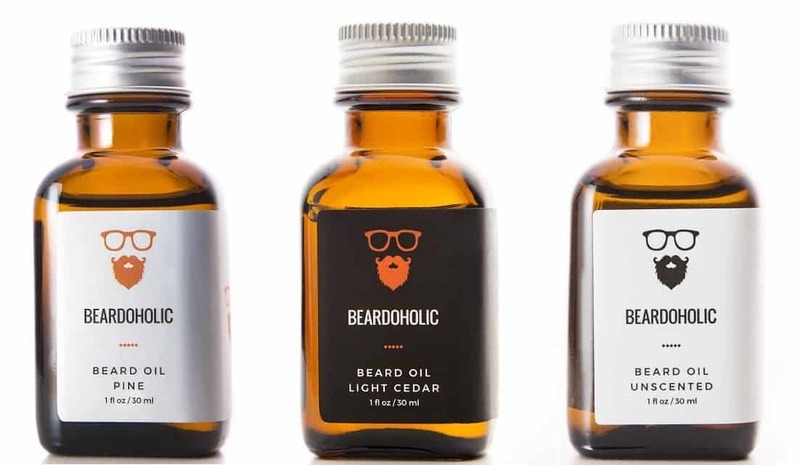 Quality, healthy beard oils are typically composed of two key ingredients: carrier oils, such as Jojoba oil, argon oil, sweet almond oil, and essential oils. Carrier oils are all natural and are full of nutrients and qualities that on their own moisturize and hydrate skin and hair. They are typically extracted from nuts or seeds and are much better than purchasing chemical based moisturizers and lotions, which are not as good for the skin and could even cause negative or allergic reactions. Essential oils are extracted from all sorts of naturally occurring ingredients – plants, flowers, fruit, wood, etc. However, on their own, they can be harmful, which is why they must be diluted by a carrier oil. Essential oils are used for just as a vast array of purposes, from medicinal and therapeutic to cleaning and aroma. When combined with a carrier oil, essential oils provide great benefits and great scents. Many beard oils will include a few different essential oils to create unique scents and affect specific results. Scent options are almost infinite – anything from citrusy orange or lime, to woody cedar or sandalwood, to floral lavender or rose. If you are fan of unscented beard oils, be sure to view all differences and benefits between unscented beard oil vs scented. 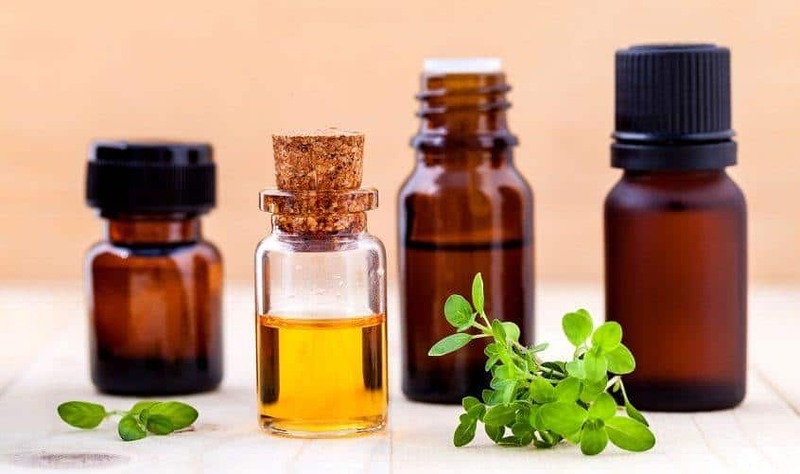 Essential oils are expensive, especially ones made from more rare ingredients, so the more essential oils contained within a beard oil, the more expensive the oil is likely to be. What Does It Do for Your Beard and Skin? What Problems Does Beard Oil Solve? Beard itch: after a couple weeks of beard growth, most men start to experience the horrible beard itch. This is because their natural oils, called sebum oil, which is secreted by the glands at the base of each hair follicle, are no longer able to keep up. The amount of sebum oil your face produces stays constant, so once your beard hair gets a certain length, your own oil is no longer enough to keep the hair moisturized and nourished. 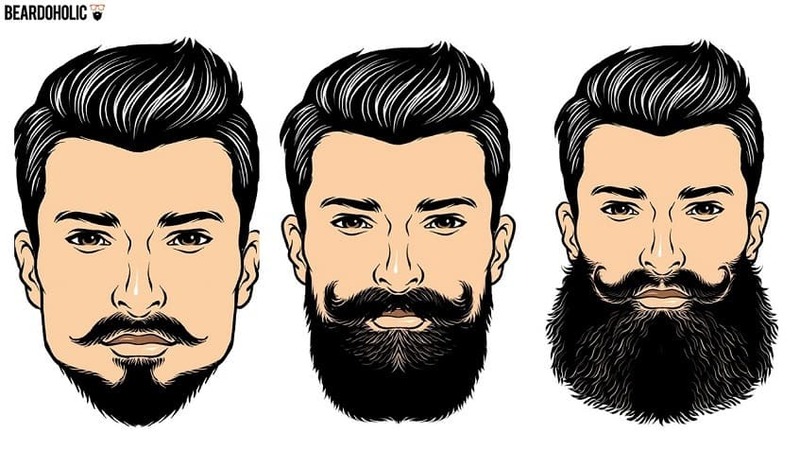 This is why supplementing with beard oil isn’t only a good idea, it is necessary, especially if you are aiming to grow a longer, healthier beard. By using beard oil, you are keeping your beard moisturized and nourished, which is what it needs by nature. It is also keeping your skin moisturized as well. The overall result is no beard itch and a healthier beard and face to boot. Beardruff: aka beard dandruff, is usually a result of responding to beard itch. If you are not using a beard oil to help as your beard grows, the skin underneath gets more and more dry, and the hair gets coarser, resulting in that irritating beard itch. The natural response to the irritation is to scratch. When you scratch your beard and face, you loosen the dry, dead skin underneath, causing it to flake and show up in your beard and on your clothes. Dry skin: as mentioned above, your face has glands that already produce their own oil, called sebum oil, to help moisturize your face and facial hair. However, as your beard hair gets longer, it’s hard for your glands to keep up, resulting not only in dry, scraggly beard hair, but in dry skin as well. Coarse texture: since the beard oil is helping to supplement your natural oils, it prevents the hair from getting dry and split, which causes that course, rough texture. The added beard oil will keep your beard hair conditioned and moisturized, making it nice and soft – much more pleasant to the touch. Shaggy appearance: since the beard oil conditions and keeps the beard softer, that means it is less likely to get tangled. Combined with the prevention of split ends, the result is a soft, shiny, well-groomed beard instead of a wiry, shaggy, scraggly one. This also means you may not need to trim your beard as frequently. How Do You Apply Beard Oil? The application of beard oil is rather simple and quick. This is good news, since most of us do not have time to add yet another ritual to our morning routines. Start with a base or your beard (your skin, basically) and move toward ends, using your finger tips to massage the oil into it thoroughly. This way your skin also gets the benefit of the oil. When is the Best Time to Apply Beard Oil? The best time to apply beard oil is just after washing your face. The ideal time is immediately after a hot shower, when your pores and follicles are more open to absorb the beard oil and the incredible qualities it offers. So, now you know the “what” and the “why” of beard oil and you are ready to get started. But you may be wondering where to start, with all the different types of beard oils that there are. Beard oil isn’t one size fits all, so it’s a good idea to do some digging and try a few out. Depending on the type of beard you have – and the type of beard you are going for – you may be looking for different ingredients in your beard oil. For example, if you’re going for a more rugged look, you may not be very concerned about any ingredients that make your beard more manageable and easier to style. However, if you’re looking for a lush, touchable beard, then you’ll want to look for a beard oil with the moisturizing qualities that come from ingredients like argan oil and jojoba oil. We know there are a lot of types of beard oil for you to consider. 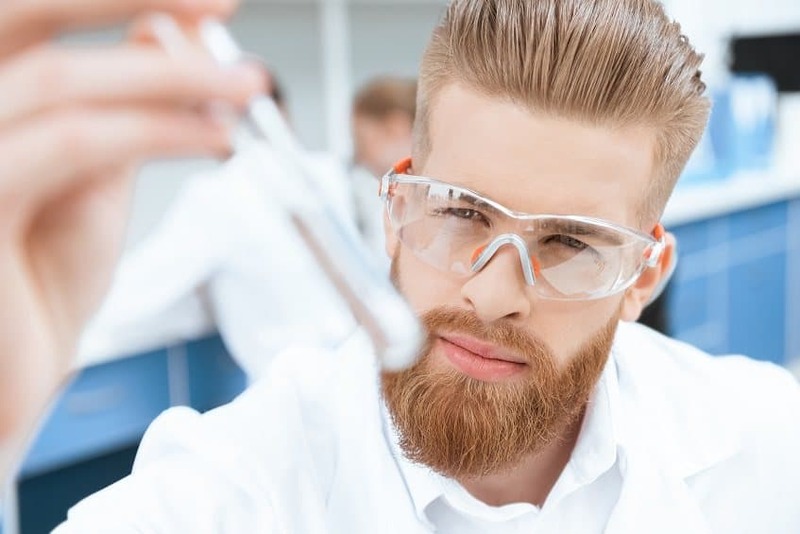 Knowing what each ingredient accomplishes, however, can make it easier for you to find the beard oil you’ve been looking for. Now that you have the skinny on beard oil, we want to share with you our Beardoholic beard oil, which is made of 8 high quality, power-house ingredients to keep your beard and the skin beneath healthy and thriving. Argan oil: a nutrient packed carrier oil that is extremely beneficial as a skin moisturizer and hair softener, in part due to the naturally occurring Vitamin E that it carries. It is a key element to calming fizzy hair and preventing flaky skin. Jojoba oil: this powerful oil, also containing vitamin E, is another excellent moisturizer for skin and hair. Additionally, jojoba oil helps balance out the naturally occurring sebum oil produced by your hair follicles, so that your skin and hair are neither too dry (from clogged follicles) nor too greasy (from over-producing follicles). Another important quality of jojoba is its natural antiseptic and antifungal qualities which helps control and prevent skin conditions like psoriasis and dermatitis. Almond oil: this antioxidant-rich oil, full of vitamin E, vitamin A, phosphorus, magnesium, omega-3 fatty acids and more, has been used for centuries to treat skin conditions and wounds. It is antibacterial and works as a powerful moisturizer. This oil will play a large role in healing and maintaining healthy skin underneath your beard, while the natural biotin that it carries will work to soften and strengthen your beard hair. Castor oil: A detoxifying, antibacterial, anti-fungicidal and moisturizing oil, castor oil functions as an excellent emollient for the skin, clearing away the dry, itchy dead skin that can hide under your beard while helping to de-clog your glands and follicles. This, combined with its fatty acids and anti-inflammatory properties, helps castor oil maintain and grow healthy, strong hair, and has even been known to help improve hair growth and prevent hair loss, while conditioning the hair and reducing split ends. Wheat germ oil: another oil rich in vitamins E and B, magnesium, potassium, phosphorus and tons of other nutrients to ensure moisturized skin and hair and healthy, clean follicles. Grape seed oil: a good source of vitamin E and moisturizing fatty acids, this oil functions yet another boost to beard and facial skin health. Pine fragrance oil: this fragrant oil adds a manly, woodsy scent to the oil for the added benefit of working as a mild cologne. Keep your beard looking nice and smelling nice for those getting up close and personal. Essential oil: finally, a mixture of essential oils from natural ingredients helps finish off the blend for both health and scent properties. Enjoy FREE shipping on our beard oil and check out customer reviews on our website.